First, I'll begin by wishing everyone a terrific Tuesday, especially our PRASM fans and friends! To get this Tuesday kicked off with some invigorating energy, we will celebrate yellow as our color of the week! 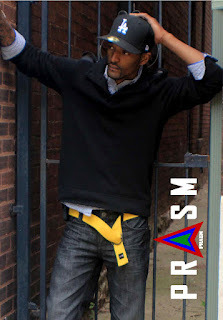 PRASM belt in Yellow. Shop with us on EBay by clicking here! What's so special about yellow anyway? In my opinion, yellow seems relatively scarce in the fashion world. I could be wrong, but yellow just doesn't seem to be a first choice when considering the attire for the day. Well I've got great news, perhaps something that will give you a whole new outlook on the color yellow. For starters, yellow is the color of personal power, joy and cheerfulness. It says to the world, "I can" and in my opinion it goes a step further projecting an energy that says, "I CAN and I WILL." No matter how little or how much yellow you wear, this is a color that will clear your mind of clutter and make your thinking process clear and concise. When you feel bogged down, depressed or indecisive about something wear yellow for inspiration. When you go to adorn yourself in this color keep in mind that you are taking a conscious step forward to assert yourself and live authentically. Yellow is related to the sun and its rays, which is why the sun is the perfect emblem for recognizing the true power of this color. I absolutely love yellow because of the "free spirit" energy that comes with it. It's like the sun in that it allows you to shine regardless of where you are or what darkness may be clouding your life... this is illustrated in the way that the sun shines somewhere, somehow regardless of clouds or nightfall. 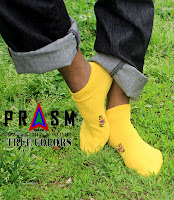 PRASM socks in Yellow! Shop with us by clicking here. Yellow is what I'd consider a generator of beautiful energy. This energy allows things to grow and manifest effortlessly just as the sun supports the growth of plants or vegetation year round. 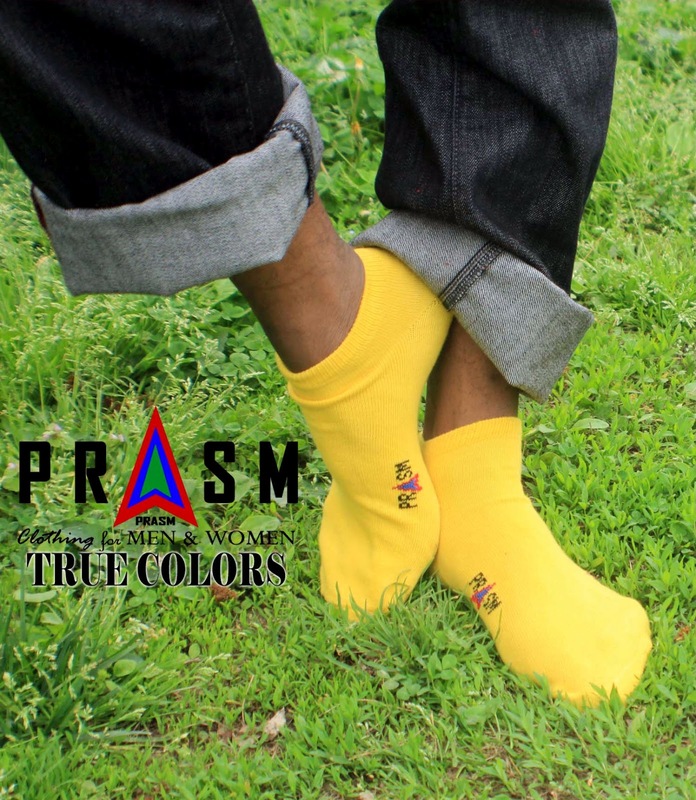 Stay tuned for more colors in PRASM's color series! And if you have anything to add about the colors we present, then feel free to leave us your thoughts! We'd LOVE it! To shop with us, visit us on EBay or our website! PRASM is your source for "Unique Color-Style Accessories for Fashion and Apparel."